Do you love writing stories? Have you ever thought that maybe one day you'd like to be an author? Or do you just enjoy making up stories for others to read. If you'd like to have a book published there are more opportunities for you now than ever before and this course will give you the skills and techniques you need to write awesome stories, perhaps even a novel. This course is for middle-grade and older teenage students who are enthusiastic about writing. Write Like an Author will teach you the skills you need to construct well-crafted, imaginative stories. Through coursebooks, workshops and writing camps you will be taken on a guided journey at the end of which is a story you have created from scratch. Absolutely. Schools can purchase an annual licence to teach the Write Like An Author course as part of their curriculum. Full support and training is provided. 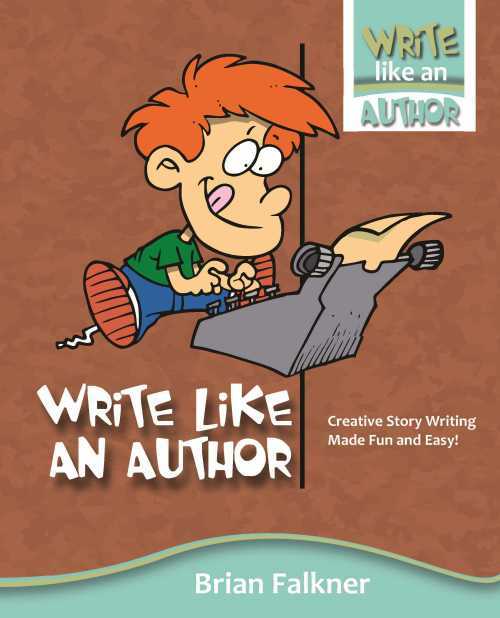 The Write Like an Author course book combines four workbooks into one convenient volume. Each workbook takes your young writer on a different part of the writing journey. The course book is available to purchase when you register for a writing camp, or can be purchased during the camp. While not a requirement, it is highly recommended that each student purchase their own copy of the course book.